The following list should be up-to-date and contain all relevant and notheworthy $BANANO-related announcements, updates, news, mentions whatsoever since the first time Banano was ever mentioned. 20190406 BANANO Meme Faucet Round 11 has started! 20190328 ‘Black Monkey’ BANANO Faucet Game Round 5 about to start! 20190326 The Cryptocurrency Meme of the Year goes to… BANANO! 20190322 BANANO Crane Faucet starts tomorrow! 20190321 BananoBet Reaches 15 Million Bets! 20190320 New Faucet: The BANANO Miner – Probably the best-paying CPU mining faucet ever! 20190319 Bananobet about to reach 15 Million Bets! 20190313 Natrium 2.0 Beta is now available on Google Play Store! 20190311 Black Monkey (BANANO Faucet Game) Round 3 Starts on March 12! 20190310 Natrium — The NANO Mobile Wallet by BANANO — now Available on the iOS App Store! 20190305 BANANO Meme Faucet Round 10 has started! 20190304 BANANO is now on Cheddur! 10k BANANO Giveaway! 20190303 Monkey Match Round has ended, payments made, next Round April 6th! 20190302 Enjoy Your Weekend With BANANO! 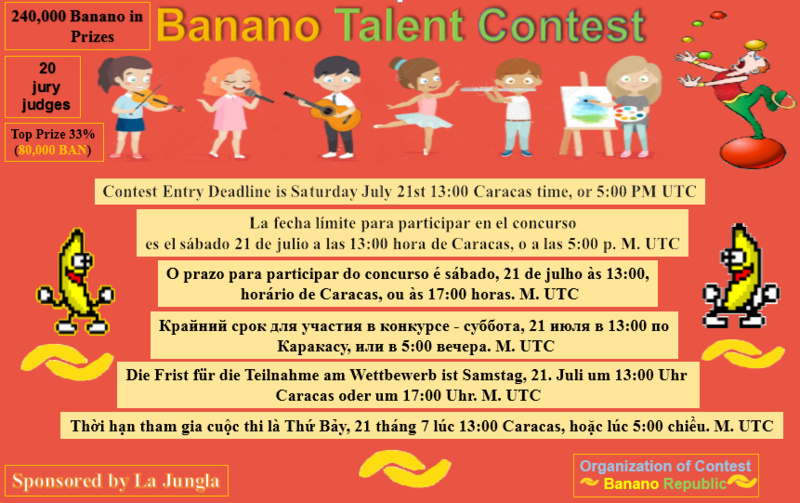 20190302 Carnival is here – Join the BANANO CarBANival Contest! 20190302 Monkey Match is back – BANANO Faucet round starting TODAY! 20190221 Medium Post: Happy Birthday, Banano! Join the Party! 20190103 Banano Memefaucet is back online! 20180916 Rumors: Banano to be listed on Mercatox? 20180520 Speculation about sook it – A new Banano game?